This 4 story, 100 year old, vacant furniture store on the banks of the Rock river in Rockford IL was begging for a new life. A group of Rockford businessmen saw the possibilities. 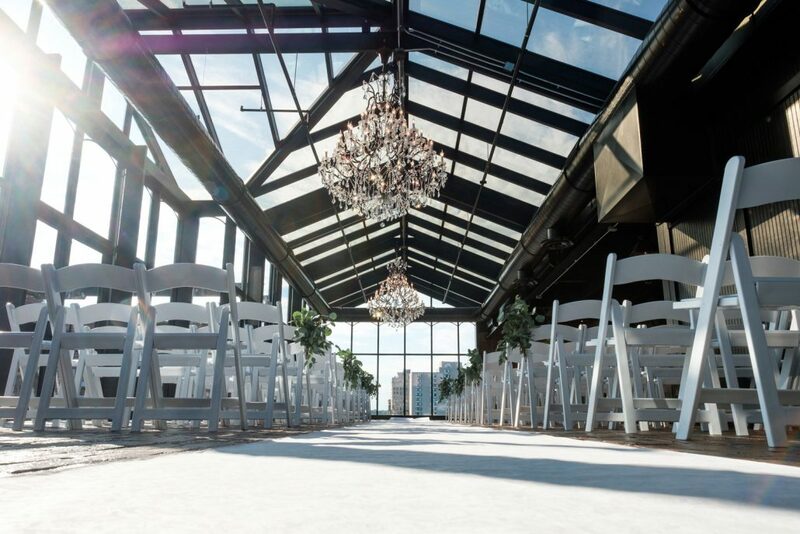 Event space is at a premium in Chicago, and what is available is at exorbitant prices to couples. 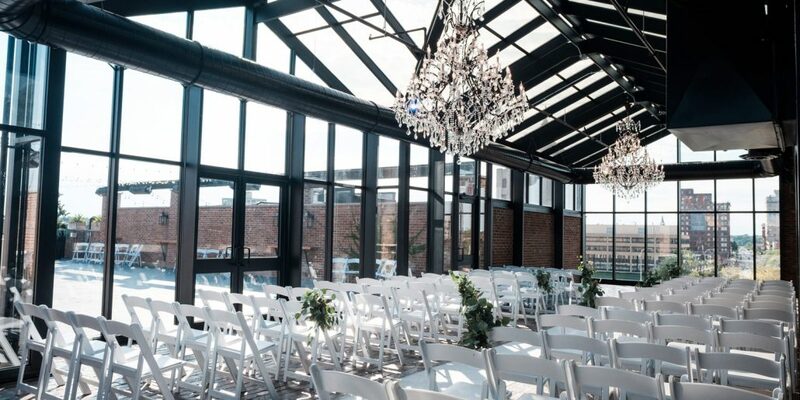 Why not build a wedding center with a spacious rooftop conservatory, a view of the city and a guaranteed location for an outdoor wedding, no matter what weather. 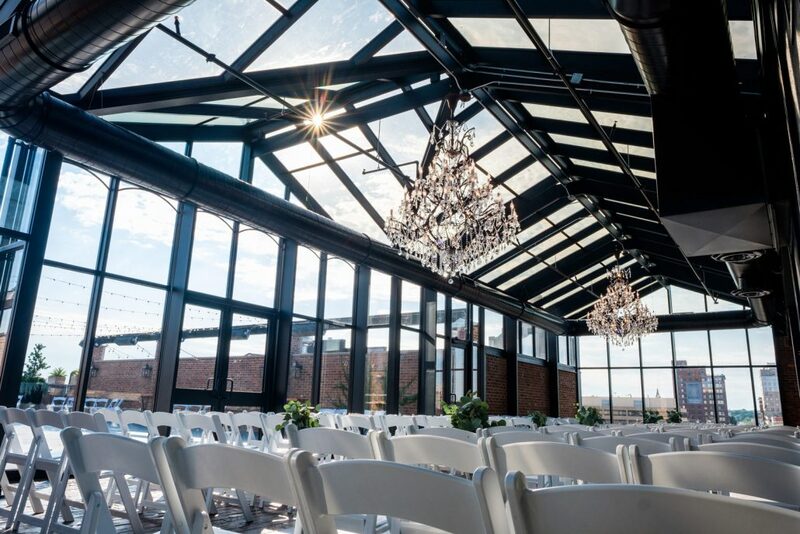 In the last 10 years gaining valuable square footage on a rooftop has been common place for entertaining, co-op growing or in this case an event center/ wedding venue in Rockford, IL. The team that made up The Standard had goals for a destination wedding venue. The construction of this project was to coincide with the building renaissance taking place on the Rockford, IL riverfront. 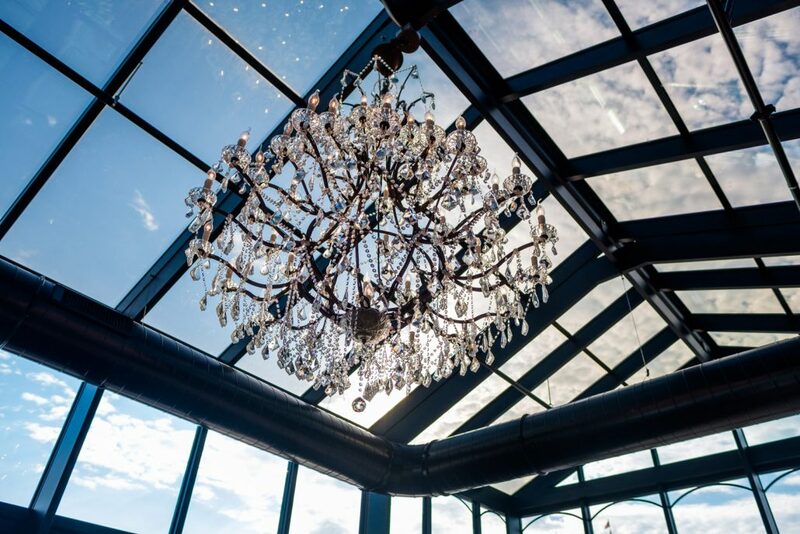 Conservatory Craftsmen was brought on for a the crowing jewel of the three story masterpiece- the roof top conservatory. 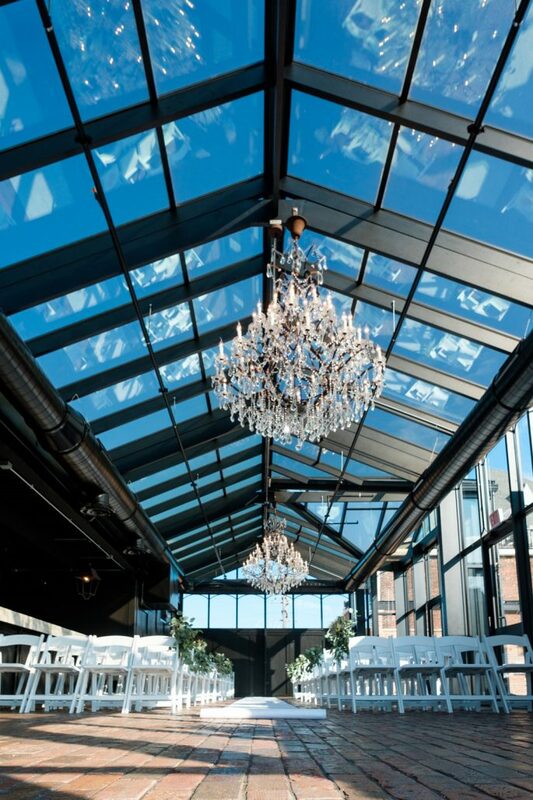 The owners were intent on building the finest roof top conservatory in the Chicago area. They knew they wanted something that would draw a wedding party out of the Windy city into a nearby venue with more to offer. 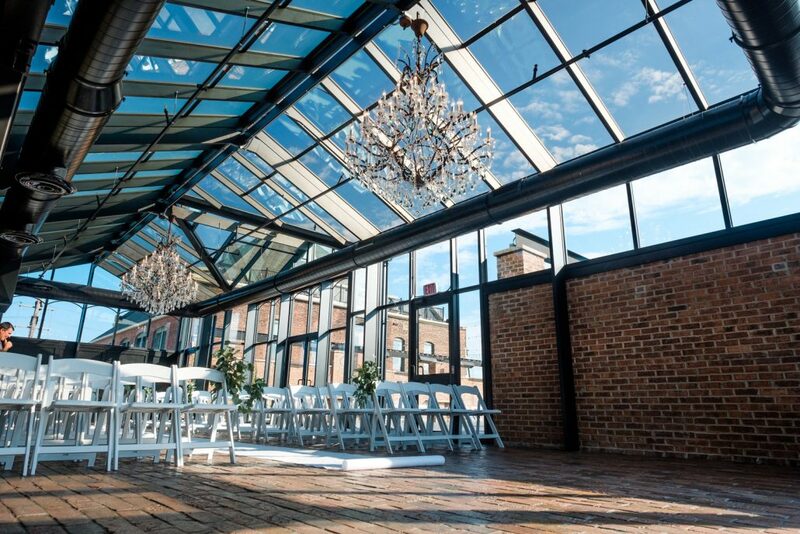 Their dream was to have a roof top conservatory in which a couple could be married, and also assured that no matter what the weather, the wedding could be ‘outdoors’. Given the plan by the owners and architects, we called upon our thermally broken aluminum framing to be the basis of this structure. Able to withstand 130 mph winds and massive snow loads that torment a structure in this exposure. The roof top of this 100 year old building was the biggest challenge. There were walls here and there that had to create connections. Decks were unlevel, and the winter installation on a rooftop was indeed a chilling experience our crews will never forget. 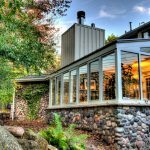 Gary W. Anderson Architects is a full service architecture firm with a diverse portfolio in preservation, adaptive building reuse, new construction, and visionary planning. 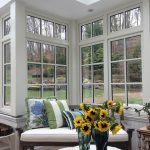 They are the leaders in the renovation of historic structures in Rockford Illinois and the region. They have developed a reputation for revitalizing and giving new life to the existing structures, while being sensitive to their character and charm.